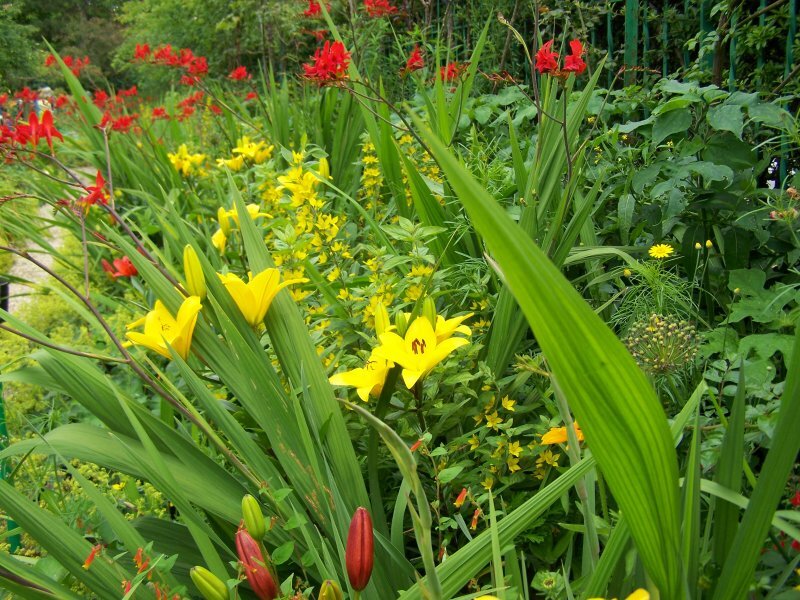 In Monet’s garden at Giverny, yellow and red flowers unite their flame-like radiant colors. This effect is obtained by mixing yellow flowers, especially liliums and spotted-loosestrifes with delicate red crocosmias. Croscosmias leaves have also translucent qualities enhanced by the morning sunshine.